Do you need to strengthen your mind to reach your full potential in your sport? Are you a coach looking for cutting-edge sports psychology strategies? Are you a parent looking for sports psychology coaching guidance for your child? Are you a member of the media looking for a unique sports psychology interview? Internationally recognized peak performance mental game coach Bill Cole, MS, MA offers sports psychology coaching for Olympic, professional and amateur athletes, teams, coaches, teachers and parents. Bill has coached at the highest levels of the Olympics, major-league pro sports and big-time college athletics and he is also the the Founder and President of the International Mental Game Coaching Association. Score yourself in this free online Sports Psychology Assessment to discover mental strengths and weaknesses in your sport. We do sport psychology coaching all over the United States and globally via telephone and video conferencing using Skype, FaceTime, Google Hangout and GoToMeeting. Bill Cole, MS, MA is the host of the new television show pilot "The Mental Game". Watch the TV show trailer (at right) and visit The Mental Game TV Show website to learn more. Achieve peak performance in your sport with Sports Psychology Coaching. Save $75 with this special sports psychology coaching package for new clients. HOW DOES SPORTS PSYCHOLOGY COACHING WORK? Learn the process and the results. Learn about the 44 mind-body methods we use to help you become more successful in your sport. Discover how to build mental and emotional resilience so you can enter the zone on command. Bill Cole's newest book is almost done. Learn more and advance-order the book. The Mental Game Radio Show combines entertaining, informative stories, solutions and insights about the world of peak performance. 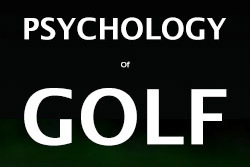 TAKE THE LATEST SPORTS PSYCHOLOGY QUIZ NEW! How well do you prepare mentally? Take this Mental Preparation Quotient Quiz to find out. 40 Questions to help you judge your Mental Game Power Quotient. Learn about the Cole Mental Game of Sports Assessment Tool (CMGSAT), a comprehensive, highly-detailed educational mental tools package. You can have customized in person or telephone coaching with Bill Cole, MS, MA, an internationally recognized sports psychology expert. Bring Bill Cole, MS, MA in to work with your team to learn the mind secrets of winners. Find out if the inner game system is the best mind training approach in sports. Are you using the mental training secrets of top Olympic and pro athletes? Check out how you can succeed faster, just by using your mind. Need to stick to your fitness program better? Need to lose pounds, and keep them off? Discover how to ramp up your motivation. Reduce and mentally recover from your mental errors. This hour and 14-minute audio is for anyone who plays badminton. Bill Cole, MS, MA is one of the nation's top speakers in sports psychology. Discover the world of sports psychology in this innovative program. Learn about our program for building sustainable golf peak performance on command. 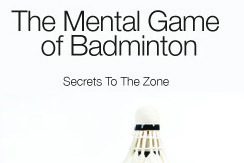 This program will show you how to master your mind and your tennis game. We offer sports psychology tools & resources to help you succeed in your sport. The perfect gift you're looking for may be a Sports Psychology Coaching Gift Certificate. Bill Cole is an expert media resource for background and insights on sports psychology, mental toughness and related topics. Learn more about Bill Cole, an Internationally recognized authority on sports psychology. Learn about sports psychology coaching and the results you can expect when you work with a Coach. Find answers to Frequently Asked Questions, or ask your own burning sports psychology questions. We have provided sport psychology coaching and consultation services for hundreds of individuals to help them become peak performers. Discover how Bill Cole coaches top corporate executives and their teams using his mental game approach. Learn about Bill Cole's experience in TV, film and radio as creator, writer, producer, guest expert and host. WHAT IS A MENTAL GAME COACH? There are many types of mind coaches, mental trainers, psychology consultants and therapists. Read this article to find out how you can choose the right mind practitioner. A sports psychology coach, tennis coach, golf coach, personal coach...What do all these coaches have in common? Why work with a coach? Here are ten ways a coach can help launch you to the next level. WHY ARE SOME ATHLETES RELUCTANT TO USE SPORTS PSYCHOLOGISTS? Learn 72 reasons athletes avoid sports psychologists, and also discover the many benefits of sports psychology training and what to expect in a sports psychology session. Read the latest Mental Success Strategies article from Bill Cole, MS, MA. Do you allow the fear of failure to stop your success? Discover how to overcome this mental malady. Learn why some people are afraid of success and how to overcome the fear of success. Learn if you have the mental toughness needed to succeed in your sport. WHAT MAKES CHAMPIONSHIP SUPERSTAR ATHLETES TICK? This article explains ten characteristics common to all superstars and how you can develop them yourself. Bill Cole is also the Founder and President of the International Mental Game Coaching Association, an organization dedicated to advancing the research, development, professionalism and growth of mental game coaching worldwide. There are five categories of IMGCA membership with 22 IMGCA member benefits. The International Mental Game Coaching Association certifies individuals at four levels as Certified Mental Game Practitioners. Bill Cole offers mental game coaching, consulting, speaking, training and facilitating services through William B. Cole Consultants. The Mental Game TV Show is an innovative reality pilot focusing on the mental game of sports, business and life.